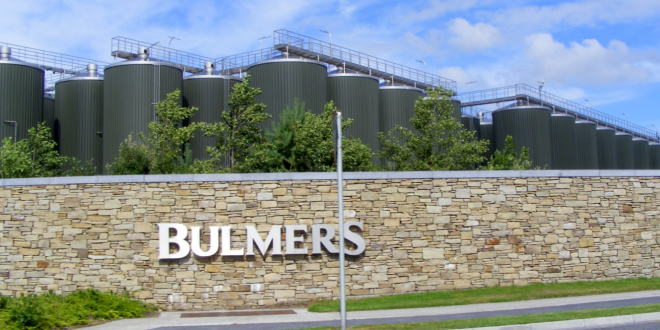 The Mayor of Clonmel Borough District, Cllr Andy Moloney has welcomed this weekends announcement of a €10m investment in the bottling facility at the Bulmers plant in Clonmel. This will allow the company compete in the UK market more effectively as well as servicing the irish Market from the Clonmel site. This is a big vote of confidence by the company for the Clonmel site with about 60 new jobs been created as a result. Another boost to the Town was the companies agreement to enter talks about a proposed visitor centre in the Dowds Lane site which was home to the cider making facility for years where the waft of the crushing apples could be smelt thought the town. Cllr Moloney had a motion last year to the council to meet the company with the proposal and thankfully it has come to fruition. Funding for a feasibility study will be sought for this project through Failte Ireland along with the Westgate project and the Gallery Space as part of the Museum,and will be driven by the Municipal District. All in all, the announcement by Bulmers is encouraging.